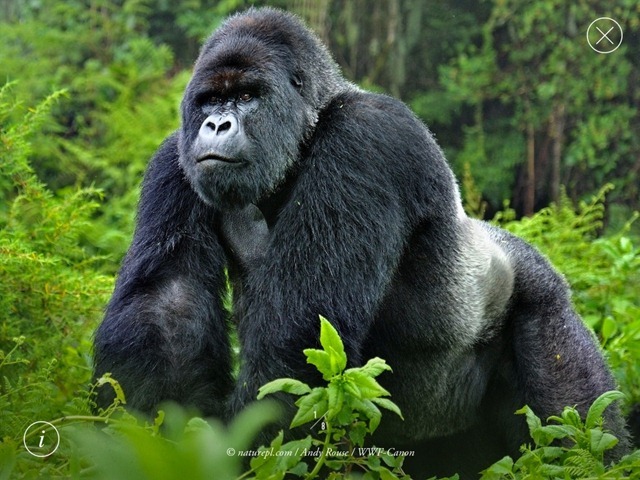 The World Wildlife Fund’s WWF Together app has been updated – adding the Gorilla as the latest endangered species covered. The new section on gorillas notes that they are in fact one of the endangered species that most needs our help. 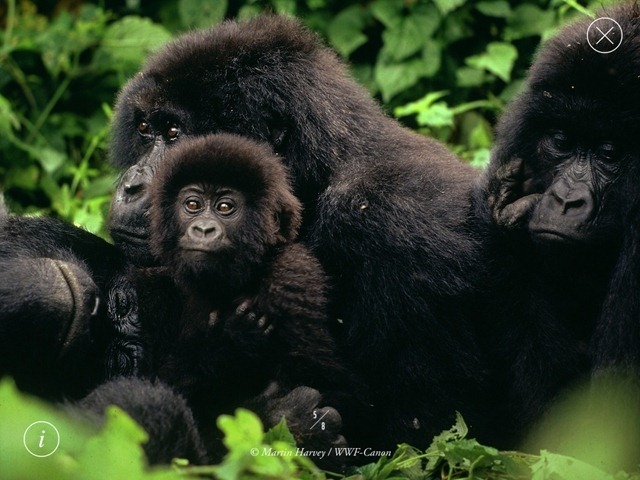 They are apparently the most conservation dependent species on earth – and the WWF has been working for over 50 years to protect them. 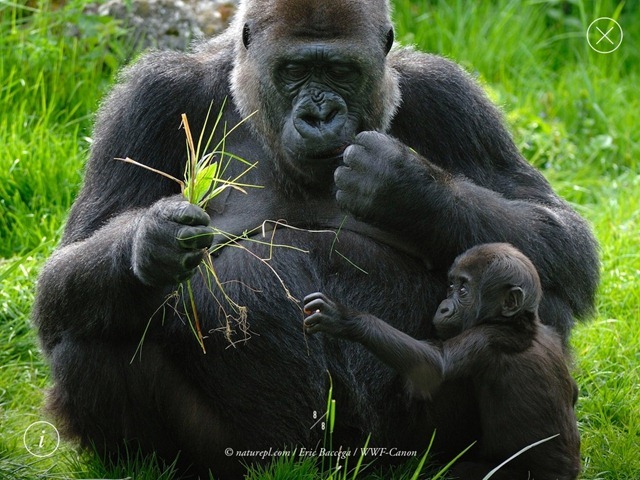 This update is an internal one, there’s no need to install it via the App Store – just open up the app and unlock (for free) the new section on gorillas. Every time I think I’ve decided about which species has the most spectacular photos in WWF Together, I end up finding another that’s even more captivating. This is certainly the case again with the new photos of gorillas. With this latest update, the app now includes photos and stories on Giant Pandas, elephants, marine turtles, tigers, bison, snow leopards, polar bears, whales, rhinos, and gorillas. WWF Together was a recent pick as our Best Free iPad App of the Week, and an instant and lasting favorite of mine. I can’t think of anywhere that I’ve seen better photos than those in this wonderful app. Here’s an App Store link for WWF Together; it’s still a free app.